It is reported by Reuters, which obtained the data from the opposition group Syrian människorättsobservatoriet, SOHR. the US-backed milisgruppen SDF, Syrian democratic forces, which, for a few days now conducting an offensive against al-Baghouz. the SDF is a coalition of kurdish, Arabic and syrian groups who are fighting against the dictator Bashar al-Assad in the syrian civil war. a Total of 400 people have left the area on Monday. The village of al-Baghouz on the Euphrates river near the iraqi border is IS the last territorial stronghold in Syria. is that, apparently, citizens of other countries than Syria. 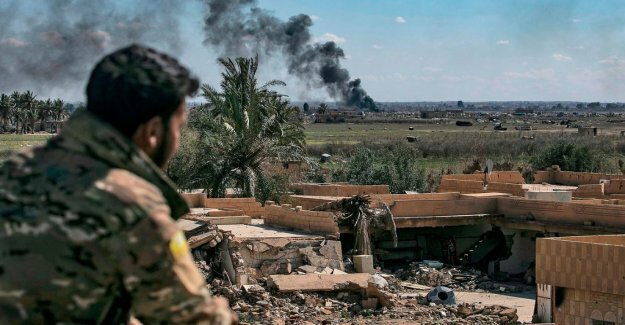 Earlier on Monday, reported the SOHR that the six ICE-warriors ”with foreign nationality” submitted to the SDF on the farms outside the al-Baghouz.